﻿﻿﻿ ﻿My teen daughter has not watched television since elementary school. She gets her news and entertainment from YouTube. While younger generations account for a lot of views, YouTube is ubiquitous across the generations, attracting 1.9 billion users each month. Every day, people watch over a billion hours of video. While viewers have an unlimited supply of videos to watch, it’s a different story for marketers. With so much content available, how can creators gain a fair share of users’ attention? 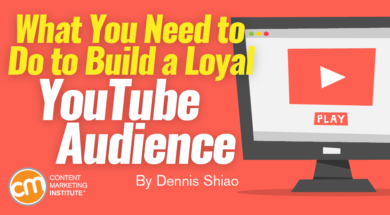 Tim Schmoyer, CEO of Video Creators, offered some insight in his recent Content Marketing World presentation, How to Develop a Loyal YouTube Audience. Unless otherwise noted, images and insights come from his talk. The goal of YouTube – like all content marketing initiatives – is to serve the right video to the right person at the right time, Tim says. Google’s search engine similarly tries to serve the right content at the right time, but there’s an important distinction. Google serves up content like a concierge who seeks to answer a question and get the visitors on their way. YouTube, on the other hand, is like the hotel. It wants visitors to relax, unwind, and stay awhile. Google views a successful search as one where the visitor doesn’t need to return to the search page. YouTube’s success comes from visitors extending their watch time – when the first video is done, the visitor views the next one and the next, and so on. To help keep people watching, YouTube’s algorithm considers starts, watch (time), and sessions. Starts are the videos that bring people to YouTube – the video that started a visitor’s session. 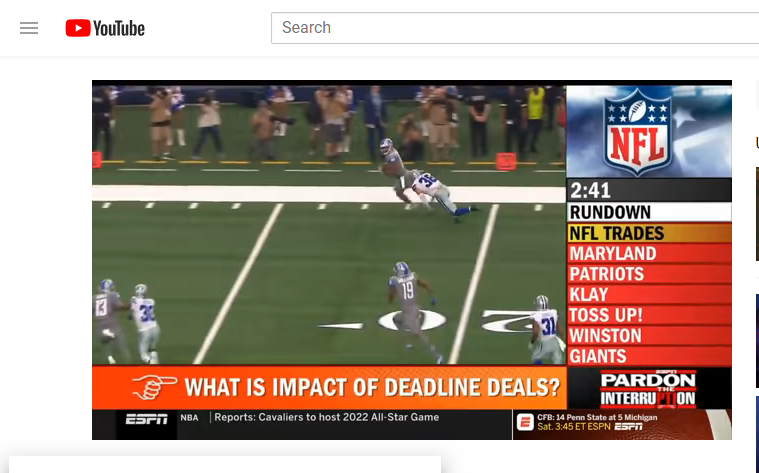 If a visitor starts at the YouTube home page, YouTube displays videos it thinks the visitor would like. Visitors who are logged into their YouTube account will see recommendations based on viewing history. When I visited the YouTube home page, it showed recommendations for videos, topics, and channels closely aligned to the topics I watched in the past. According to Tim, videos that appear on the home page have been successful at starting new sessions for users. Watch refers to viewing time. YouTube seeks to recommend videos that have been watched for a longer time. For example, if two videos are both six minutes, but one has an average viewing time of two minutes and the other has been viewed an average five minutes, YouTube will show the latter as a recommended option. Metadata’s impact is greatest when a video is first published. Because YouTube doesn’t know much about the content at this point, it pays attention to the metadata provided. As little as a few days later, however, YouTube can evaluate viewer signals – views, “likes,” watch time, etc. Those signals become more meaningful than creator-provided metadata. While you should fill in the metadata fields, spend more time optimizing your video for humans. Focus on the quality of your video. Quality will get people to watch your videos and check out other videos on your channel. Your YouTube channel gained 100 subscribers this month. Congratulations! What Tim might tell you, however, is that subscribers are not necessarily loyal fans. 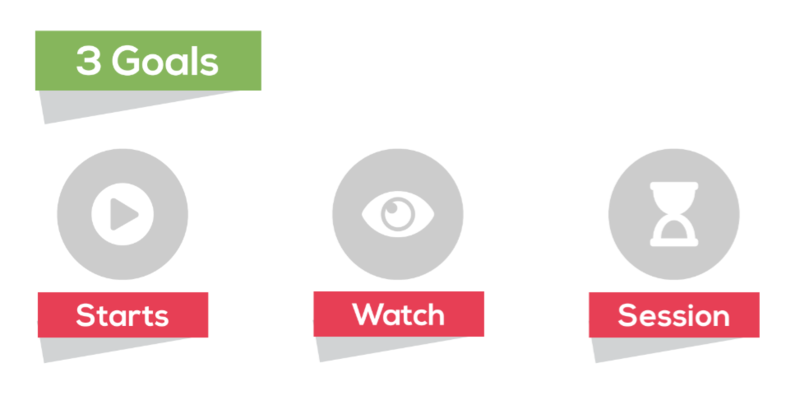 Subscribers may not visit regularly or pay attention when your next video goes live. Tim urges creators to think less about managing a channel and more about growing a community. With a community, loyalty is measured by return visits and fan engagement and less by subscriber count. The strongest communities, both online and offline, says Tim, revolve around shared beliefs, not common interests. You launch a YouTube channel about food. The videos show people making dishes and popular items served by local restaurants. They attract viewers interested in food. They become moderately loyal to your channel. What if you created a channel about the slow food movement? It would appeal to a smaller but more passionate audience that is interested in countering the fast food movement by preparing locally sourced foods using a more intentional approach to preserve culture and heritage. The channel would have fewer subscribers but a stronger bond tying the community together, one forged on a shared belief. When you visit Tim’s channel, you go to learn valuable YouTube tips and because of a shared belief that YouTube can be used to change lives. It can make a difference in the world that goes beyond making money for creators. 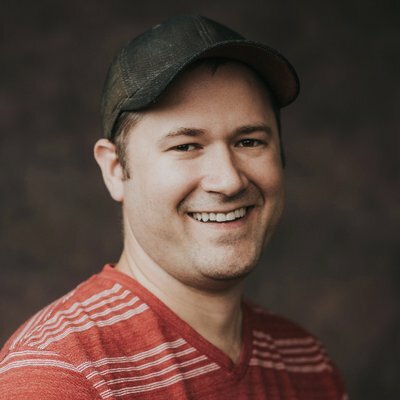 According to Tim, “People need to know why this matters to you, and that, again, gets people to create a more human, emotional connection with you.” Along these lines, your creed can extend beyond your YouTube channel to your entire content marketing and even your brand promise. Icons are not channel art or logos. They’re the things your YouTube community connects with that represent your brand. Tim, for example, wears a cap in all his videos. That cap serves as an icon. If Tim didn’t have his cap in a video, he would appear out of context and regular viewers might not recognize him. Rituals are repeated interactions or customs that people grow to love and expect from your brand. Tim recommends you make them an integral part of your videos. Each of these examples uses a consistent format that viewers appreciate and has developed well-known customs that the audience expects. An iconic aspect of Pardon the Interruption is the visual on the right side of the screen that displays the time remaining on the segment and upcoming topics. Icons and rituals help bind the community and keep them coming back. There’s such a strong bond that if you mistakenly leave out an icon or ritual, your audience will notice — and they’ll probably complain! YouTube’s audience retention report is a neat analytics dashboard, showing viewing duration, top videos, and audience retention for each video (e.g., a graph that shows precisely when users stop watching). Tim urges creators to watch the last 20 audience retention graphs to spot triggers that cause people to stop watching the video. One of his clients discovered saying the word “module” would cause viewers to leave. When he stopped saying that word, he saw higher retention and viewing time. Some creators are so in tune with their audience retention graphs that they know how many seconds they can talk before cutting to a different angle, how music impacts viewing patterns, and how often they need to say a sacred word or have another ritual. Sacred words express your beliefs in a way unique to your creed. “These are the things that people use to identify themselves as an insider or an outsider,” he says. Know how YouTube’s algorithm works. Build loyalty via a community of shared beliefs. Use analytics to guide the creation of future videos. Back to my teen daughter. She’s loyal to a handful of YouTube creators and can spend hours on the platform. She’s loyal because these creators keep her entertained and amused. They also produce new videos on a consistent basis. If I look deeper, however, I think many of Tim’s principles apply to her loyalty. In addition to the entertainment value, she has shared beliefs with the creators and appreciates their icons and rituals. How about you? Are you loyal to creators on YouTube? What’s the basis for your loyalty? I’d love to hear from you – leave a comment. CMI’s end-of-the-year ritual is its Master Class. There’s still time to register for the December sessions in San Francisco, New York, and Chicago. Sign up today!